On May 11th, 2013, the Center opened its new temporary gallery space, which will allow for the display of small-scale exhibits while construction of the new museum building is completed. The gallery occupies the space formerly used by the UOC of USA Bookstore next to the Center's library. It has been completely refurbished for use as a gallery, including the installation of museum-grade UV absorbing film on the windows to protect the displayed artifacts from sunlight damage. The inaugural exhibit "New Spaces - New Stories" gives a summary of progress on museum construction, including floor plans, architectural drawings, photographs of the interior in its current state, historical background on the design of the main staircase, and an acknowledgement of the major donors and benefactors. Along with the new spaces (both recently opened and under construction) are the new stories that can be told thanks to the many donations of artworks and artifacts that the Center has been privileged to receive. The exhibit showcases recently-acquired books, folk art, and fine art, most of which was donated within the last 5 years, and all of which are being displayed for the first time. It includes items from the large collection of Ukrainian pysanky and embroidery assembled by the late Ewdokia Repa (donated by her son, Fr. 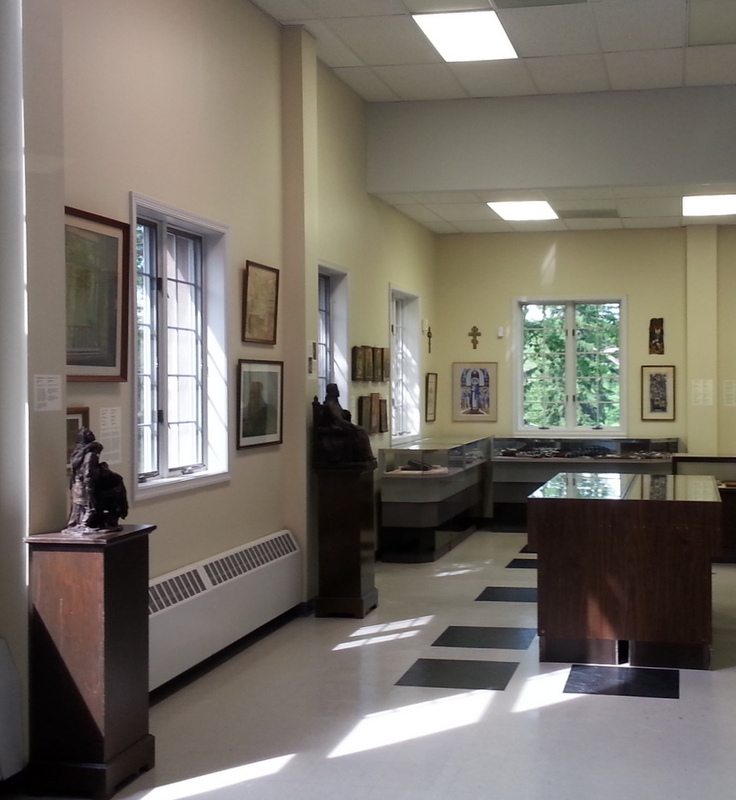 Stephen Repa), two bronze sculptures by Petro Kapschutshenko (donated by the artist's son-in-law John Bruce Schmitt), a small selection from the large group of oils, pastels, and watercolors by Yukhym Mykhailiv donated by the artist's son-in-law George Chaplenko, and much more. These items tell many stories, such as a 15-year old girl embroidering a blouse and apron in the 1920s, a Ukrainian "Robin Hood" fighting Russian imperial occupation in the early 1800s, and an artist dying in the Soviet Arctic for supposedly "preparing an armed uprising". The exhibit remains on view through the summer.